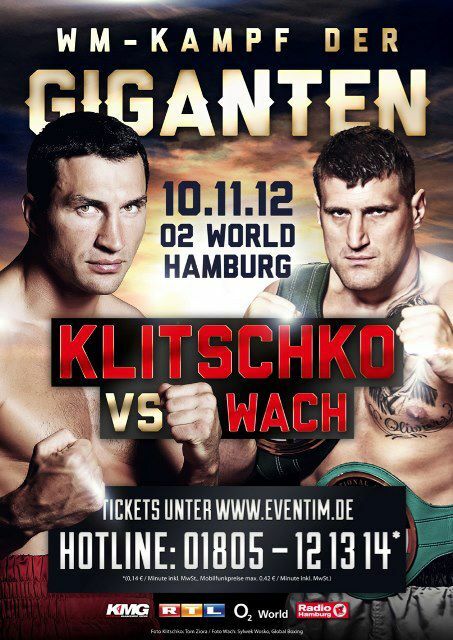 Unbeaten Hamburg-based Russian Rakhim Chakhkiev, 15-0, takes on Andres Taylor, 21-2-2, from Johnstown, PA, in a scheduled ten rounder that begin the international telecast of the Klitschko vs Wach show November 10 from the O2 Arena in Hamburg. This fight is followed by clash at welter between Polish veteran Rafal Jackiewicz, 42-10-1, and undefeated Brit Rick Godding, 18-0. This fight is also scheduled for ten. Off TV is middleweight American Tony Harrison, 10-0, who face Pole Daniel Urbanski, 21-11-3 in a scheduled six-rounder. The show begins with Polish welter Patryck Szymanski, 3-0, against an opponent to be announced.